This post should really read, “Clarksdale, Leland, Indianola, Cleveland, Merigold, MS” but the title was already overwhelming enough. We pulled into Clarksdale on Wednesday afternoon, and headed straight for Larry’s Tamales. It was past lunch time, and we all know how I get when I’m deprived of food for too long. I wasn’t quite hangry, but I was getting close. 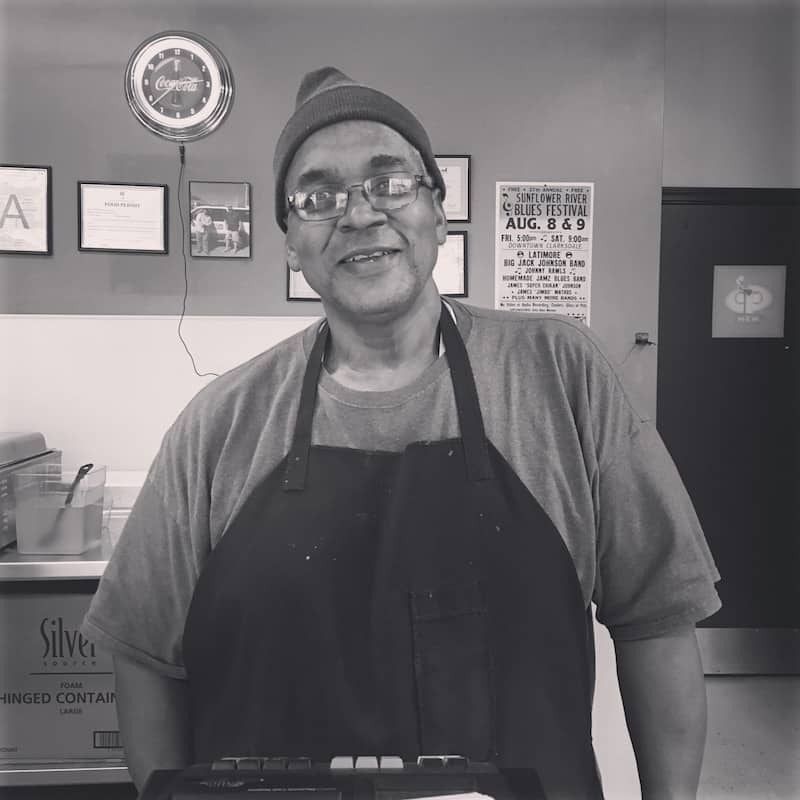 We’d read about Larry’s Tamales online – every article about Clarksdale said they were the best in town, both this town and all the surrounding ones. Tamales are a big deal in the Mississippi Delta, although the history of how they came here is vague at best, and no one quite knows for sure. The Southern Foodways Alliance has a great article that explains the possible history of how tamales came to the Delta here. 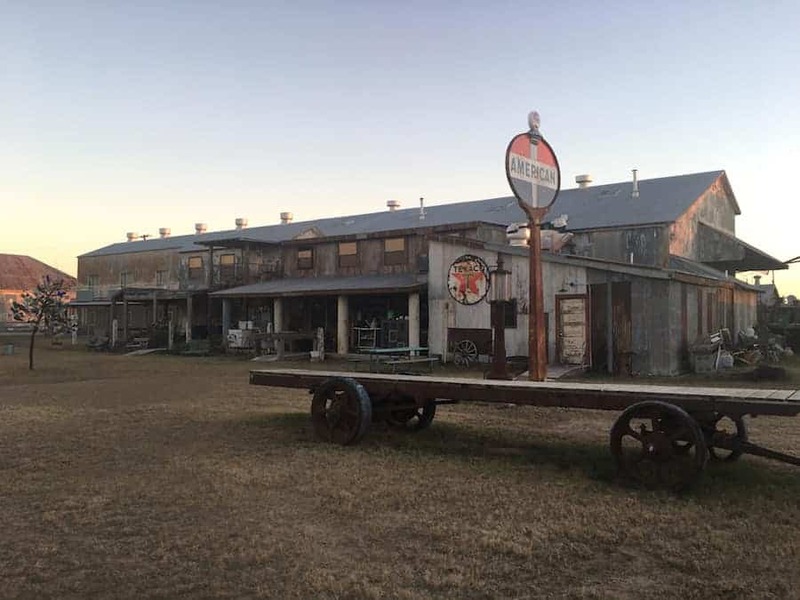 While most tourists come to the area for the Delta Blues Trail, there’s also a lesser known trail called the Tamale Trail. You can even use an interactive map to find tamales all the way along the Mississippi River. Larry was working behind the counter when we arrived, and we chatted him up to learn about how he ended up selling tamales in Clarksdale, MS. Larry’s Tamales opened in 2012, just 4 years ago. Prior to selling tamales, Larry spent 20 years in the Air Force. 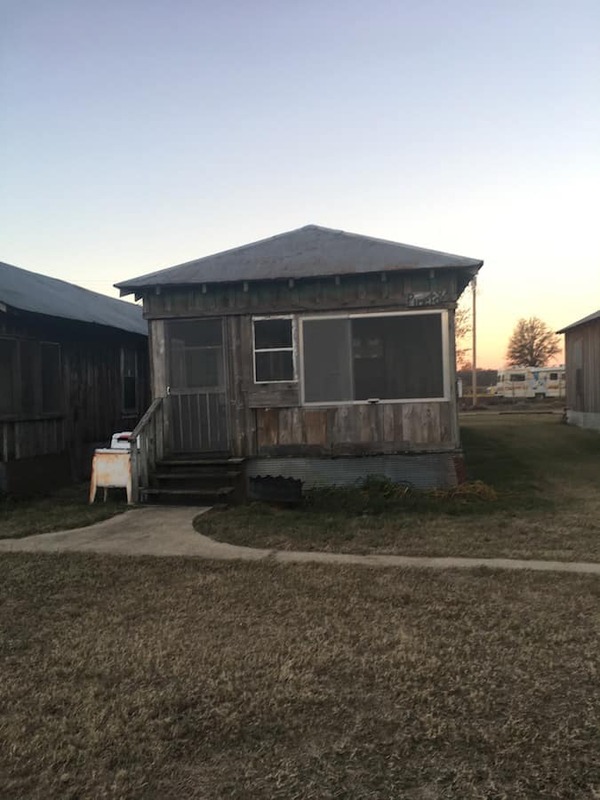 When he finished his time in the military, he was deciding between living in Denver, CO or returning to his hometown of Clarksdale, MS. In the end, he chose Clarksdale because he can be “fishing or hunting within 20 minutes,” which is as good a reason as any. Larry started out selling tamales to his friends and family on the side. His mom had a restaurant that she was running, and he started selling them there as his customer base expanded. Eventually the demand became too great, and Larry decided he needed a space of his own for his growing tamale business. The space Larry’s Tamales now occupies is an old Quiznos sub shop. Larry left all the fixtures the same – the old soda machine sits on a side counter, with an out of order sign on it; the walls are still adorned with pictures of bread and cheese. The neon “mmm Toasty” sign still hangs over the counter. Today, Larry does a booming tamale business. During Thanksgiving week alone, he sold 300 dozen tamales and informed us that Christmas week will bring an even higher demand. All of Larry’s tamales are made with beef. He doesn’t sell game meat, but the local hunters can bring him their venison, and he will return it to them in delicious tamale form. After stuffing ourselves full of this cultural tradition, we ventured out to explore downtown Clarksdale. With the exception of a few shops, most of the storefronts remain empty and abandoned. We visited the few shops that were open in town, and chatted up the proprietors to get some other ideas of what was around town. From there, we headed to the Shack Up Inn to get checked into our shack. Let me tell you, if you are pretentious, or like pretentious things, the Shack Up Inn is not the place for you. 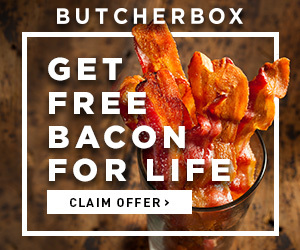 If you like authenticity, low brow, casual living, this is your place. 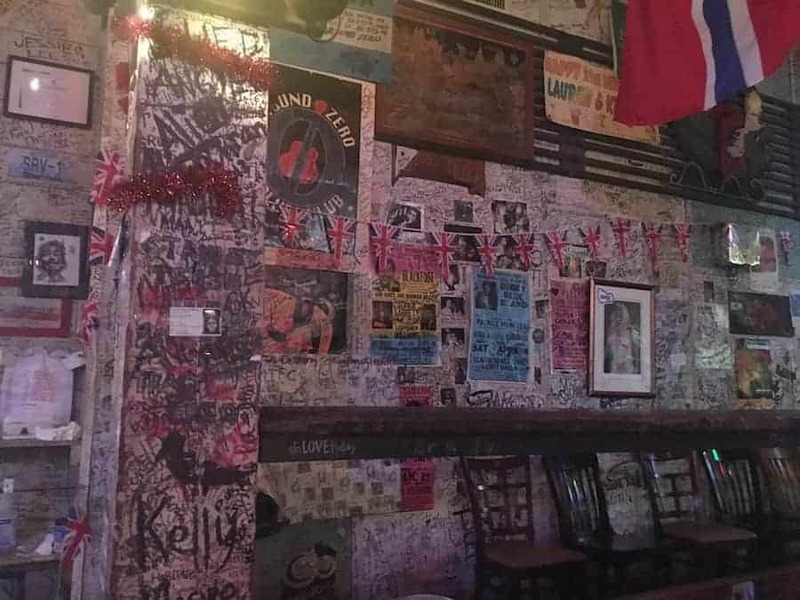 They’ve been open for 18 years,and I think they’ve been collecting junk equally as long; every wall and surface is covered with old signs and memorabilia. The beer bar (it’s a B&B, for Bed and Beer) alone could keep you entertained for at least a couple of rounds. We were staying in the off-season, so they didn’t have any live music going on, but they made sure to let you know which juke joints in town were having music each night. 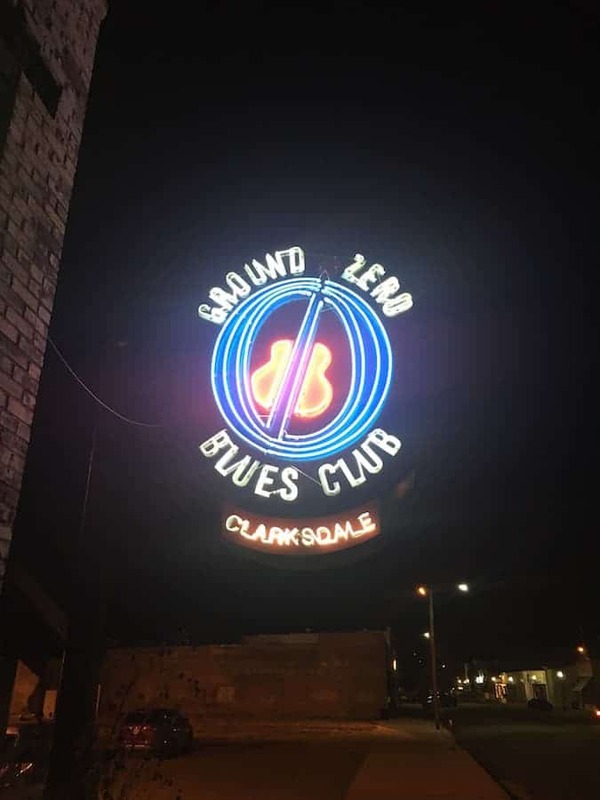 We made a decision (what we later discovered to be a fateful one) that we would go to Ground Zero Blues Club on Wednesday night, and head over to Red’s on Thursday night. Ground Zero is owned in part by Morgan Freeman, and I wanted to make sure we were doing our part to show up and give the world the opportunity to deliver for us. Sadly, Morgan must have had a prior obligation, because he didn’t make it out to Ground Zero to meet us. Womp womp. We listened to a man named Bill Abel play the blues for us. Our bartender, Cindy, has a son who is also graduating from MSU today, and she invited us to a small graduation party she’s hosting at Two Brother’s Smoked Meats before graduation. Sometimes the world delivers, just not in the way you’re expecting, and if there’s anything we’ve learned on this trip, it’s to never turn down an invitation to BBQ. This is a shot from inside the club. The entirety of Ground Zero is covered by people writing on any surface they can. Fabric chairs, tablecloths, even the toilet seat in the women’s bathroom was marked with someone’s name. First stop? 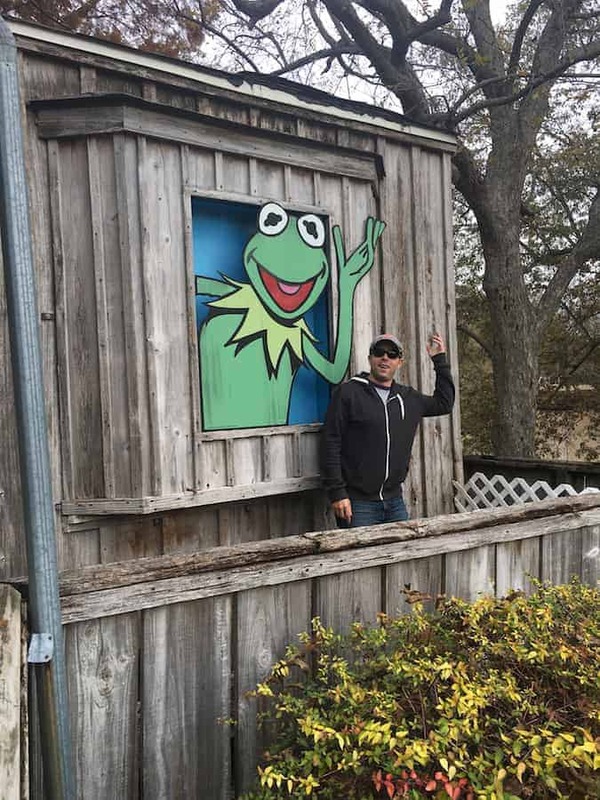 Leland, MS, home of Jim Henson and birthplace of Kermit the Frog. 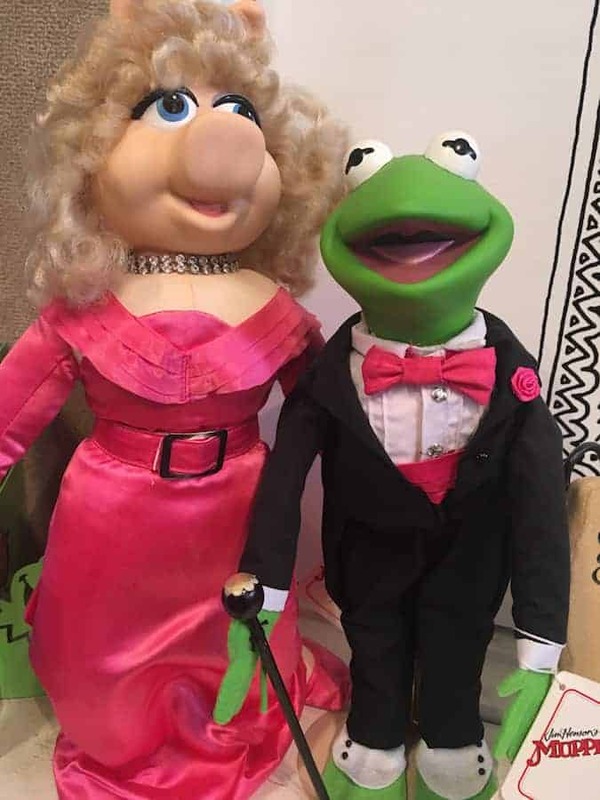 Brandan is a huge Muppets fan (so random, right?) 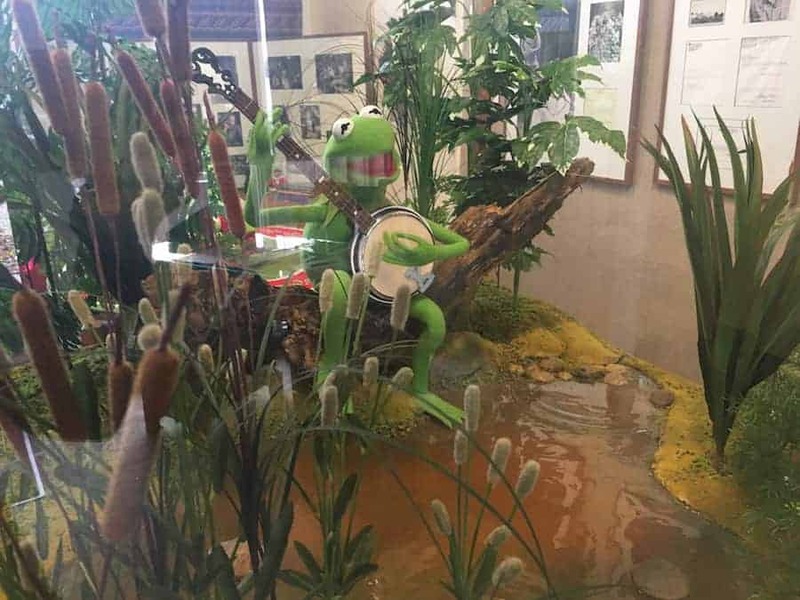 and they have a small museum dedicated to Jim and Kermit. The most interesting thing I learned? 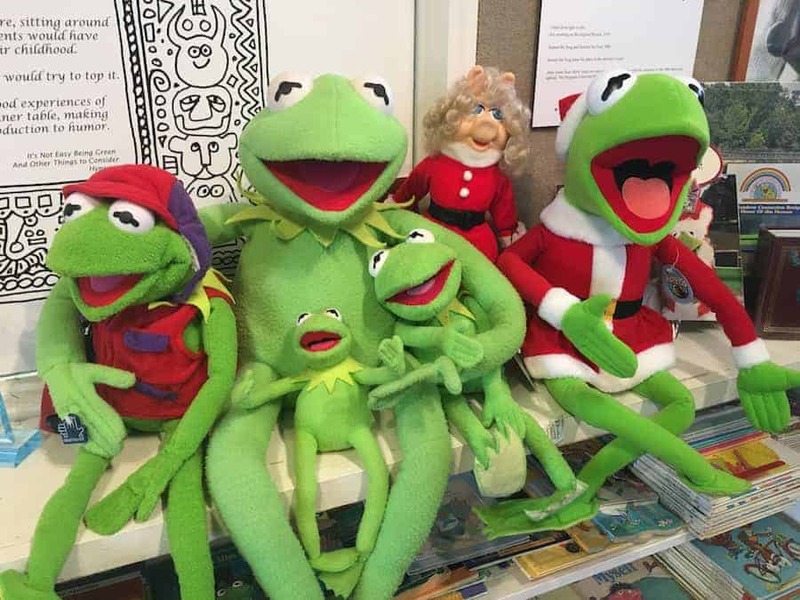 They believe Kermit the Frog was named after a childhood friend of Jim’s from Leland named Kermit Scott. Can you imagine being that guy?! 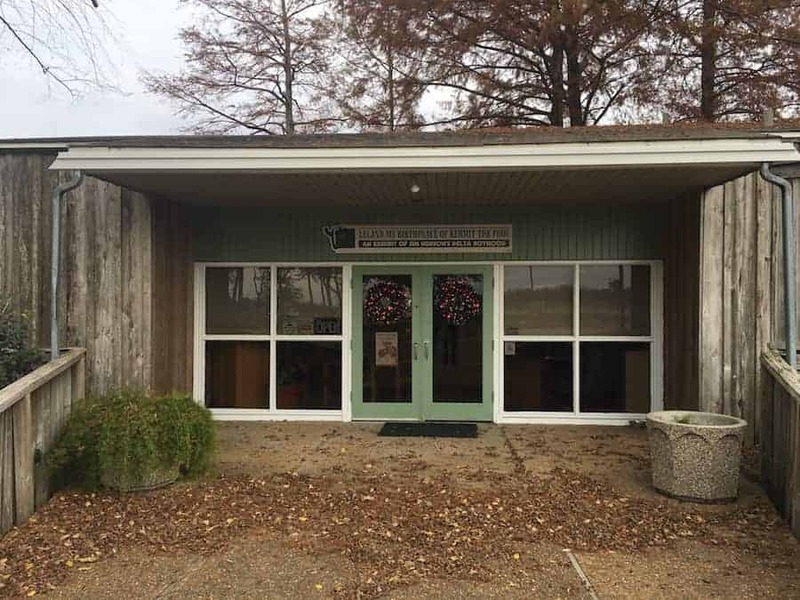 The museum was run by an older woman who recommended we continue our drive on down to Indianola, MS to check out the Indianola Pecan House. The roads here are lined with pecan trees, and underneath them, men with buckets collecting the pecans from the ground. We were looking for an authentic pecan-purchasing experience. Turns out Indianola Pecan House was a mistake – it’s not a “pecan house,” but a 100% tourist-driven gift shop of random junk. We opted out and later picked up some pecans at a local convenience store for less than half the price. The journey continued on to Cleveland, MS, home of the Delta Meat Market. The town of Cleveland seems to be doing a bit better than most of the small towns we’ve been driving through or stopping in. More storefronts open than closed, which was a refreshing sight to see. Many of the patrons in the stores were dressed in business attire, seemingly on their lunch break and headed back to work. Cleveland, MS is also home to Delta State University, home of the fighting okra. 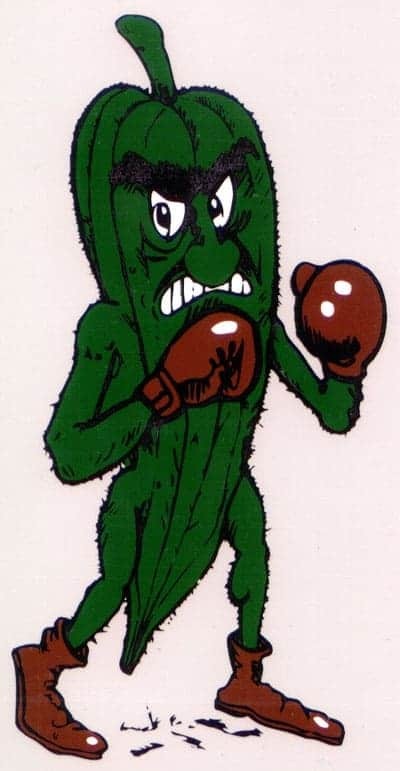 Their mascot is a piece of okra wearing boxing gloves, and their slogan is “Fear The Okra.” No joke. Our last stop before heading “home” (aka The Pinetop Shack) was Merigold, MS to check out McCarty Pottery. In an old barn on a back road of a town that the world has forgotten about, a husband and wife team make this simple and unique pottery. Each pottery piece has a signature black squiggle, representing the Mississippi River. A pottery wheel sits behind the register, and while they weren’t there during our visit, word is that they are often throwing pottery as customers are shopping. I inquired about the dinner plates, to potentially get one for the blog, but when I did, I was informed there’s a 2-year waiting list. I opted for a small bowl instead. 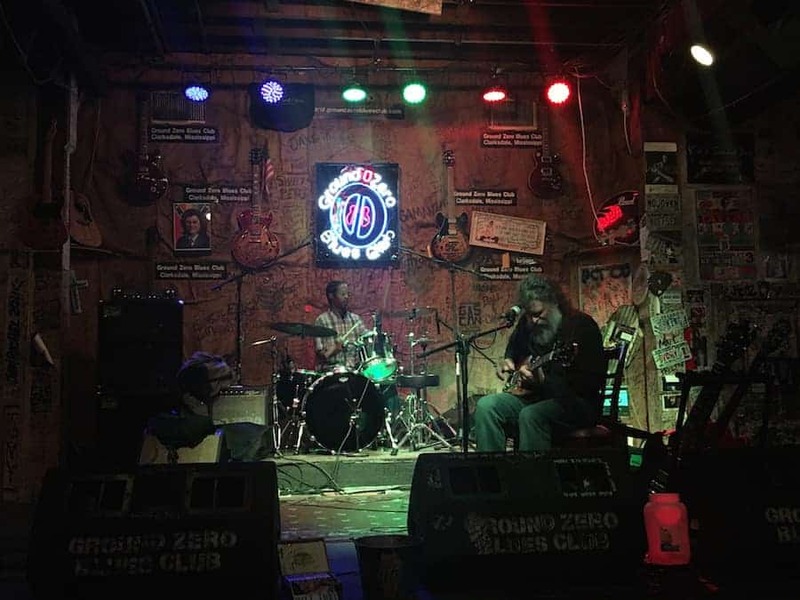 When we got back to Clarksdale, we discovered that Red’s doesn’t have live music on Thursday nights, only Wednesday and Friday. We missed out on our true juke joint experience. All the more reason for a return visit in warmer weather. 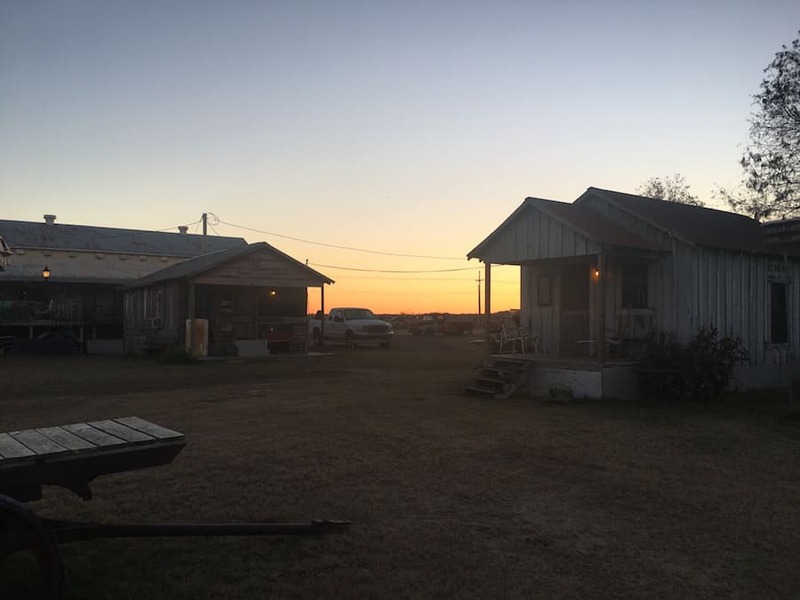 As we headed out this morning, I took a quick photo of the sun coming up between the shacks, over the flat Mississippi plains. As Max Ehrmann said, “with all it’s sham, drudgery, and broken dreams, it’s still a beautiful world.” I think he might have been talking about the Delta. Today’s life lesson? Be nice. The world is a small town. Everywhere we went, we talked to people. If you’re friendly and smile, people will be friendly and smile back. Slow down and take a minute to get to know the man behind the counter, the woman behind the bar, the man behind the guitar. You never know what connections you’ll make or who you’ll meet. 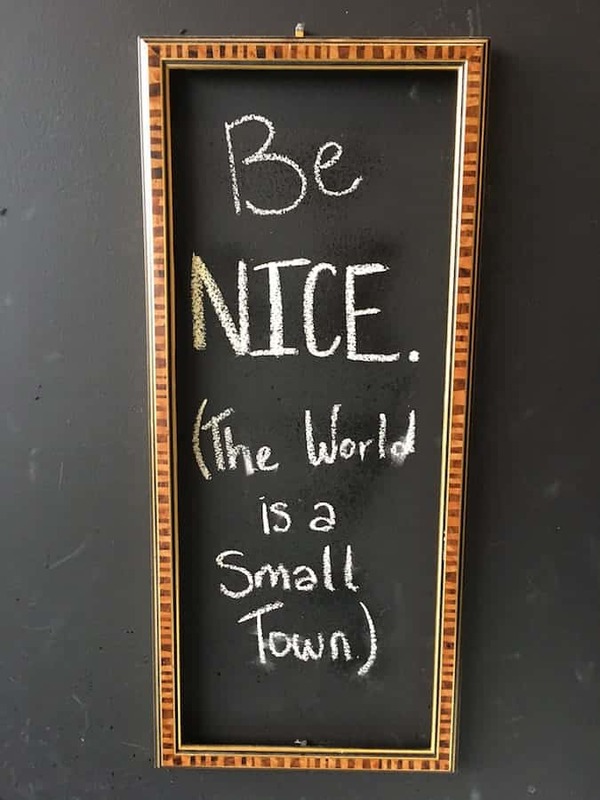 And in life, and especially today, we could all use a little more nice. Around here, it doesn’t seem to matter where you’re from, what you have, or what you don’t have. Everyone’s pleasant and genuine, and no one acts like the world owes them anything. They all work hard for what they have and are happy to share their stories with you, if you’re just willing to listen.